The Black Hopper Popper is a variant of the Black Hopper. It has a foam popper head which certainly attracts lots of attention as it that scuttles and pops over the water surface. An excellent pattern for those windy days when the water is rough. It has an irresistible top water stimulating popper action and can be fished aggressively, twitched, or slowly, on a Floating Line either as a single or occasionally as part of a team. 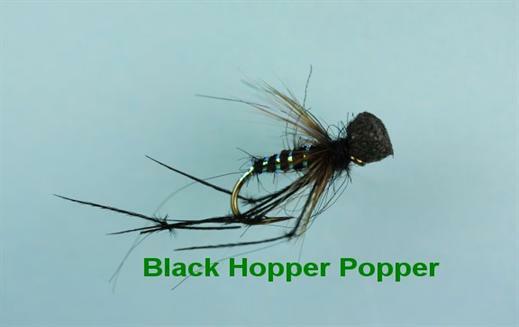 Currently there are no comments about the Black Hopper Popper fly pattern from other fly fishermen yet.